ReMe’s all about delivering highly engaging activities and therapy and in as fun a way as possible. But whilst also capturing the data that’s needed to be able to improve the experience by personalising it. And uniquely, by using the data to record who’s present, participation and outcomes, enabling better care planning and reporting. 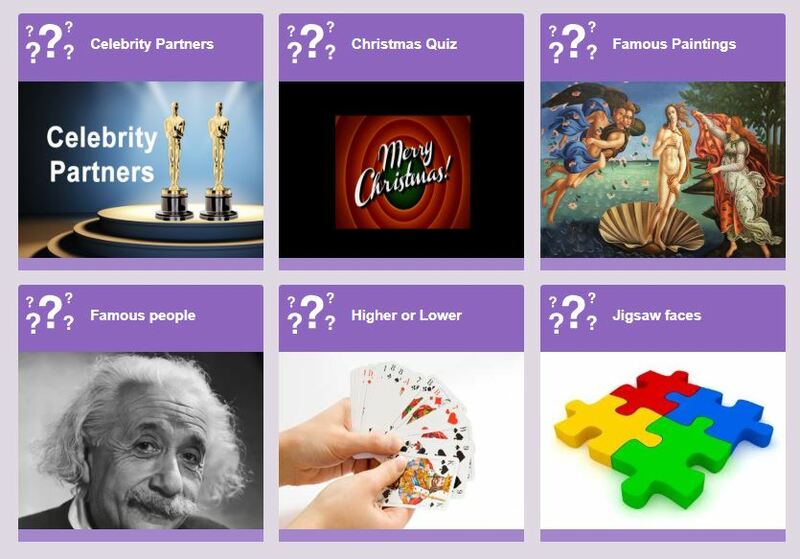 Here’s some of our products that can assist you achieve better care and have more fun. 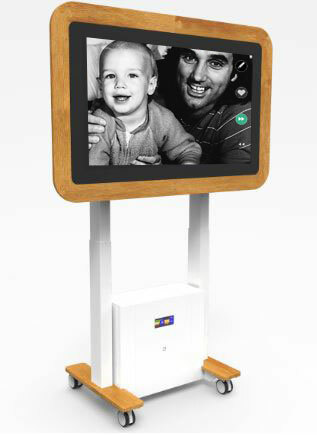 The ReMe Touch Table is a high quality fully integrated/ portable/ adjustable interactive table which is easy to use in the same way as a smart phone or Ipad. The table combines fun activities for everyone, in an easy and accessible way. 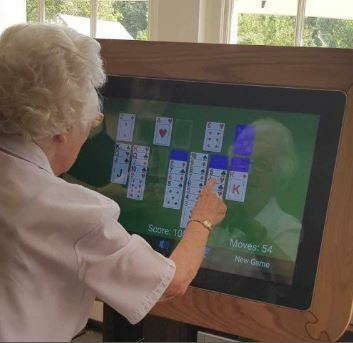 The ReMe range of 30” to 40” Interactive Activity Touch Tables are uniquely designed for the care environment, creating a positive atmosphere for residents and carers and ‘Inspiring Interaction’ between users, as well as for one to one sessions and by those with the capacity to self entertain. 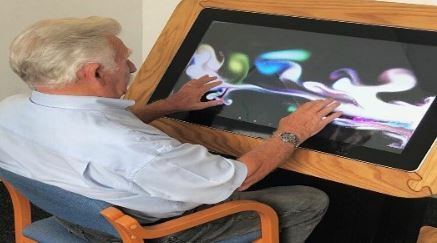 The built in ReMe software and games stimulate memory recall, improve communication and provide entertainment and aim to improve the wellbeing and mental health of elderly people and people with dementia. Uniquely the ReMe Touch Tables collect the outcomes data that is so vital in the care process to ensure the optimisation of the activities wellbeing benefits for the person. It captures interactions with users, records those present, monitors outcomes and can undertake wellbeing reports. All data is available for family, care home, operations directors and regulatory reporting. 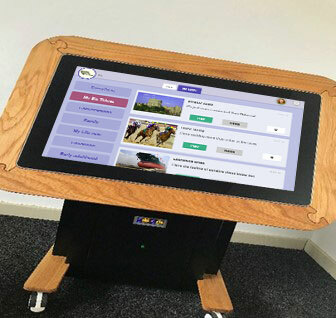 The ReMe Touch Table can be used to access the internet for general use, for staff training purposes as well as for entertainment and therapy. Built-in touch screen comes complete with an Intel Atom Quad Core processor, PC ready and built in Android. ReMe’s library of games, quizzes, cognitive stimulation games, music and films are ideally presented on the Touch Table. And other content, such as Netflix or app stores can be accessed. The ReMe Touch Table is the most competitively priced touch or projection based table on the market. Not least because it contains the unique ReMe Activity based care system free of charge for the first year. And offers a free inbuilt e-learning package worth £4k. But perhaps most importantly, it’s the only one that captures care data. But we can’t give you a price because that depends on whether you want to take up a lease which will cost just a few pounds a month, or whether you’d prefer a discounted deal for a multi-unit purchase. Let’s talk. You’ll be surprised. ReMe-Learn is a fully CPD accredited e-Learning package. Usable for multiple levels of training and managed by yourself, its suited to both single care facilities and large group usage. 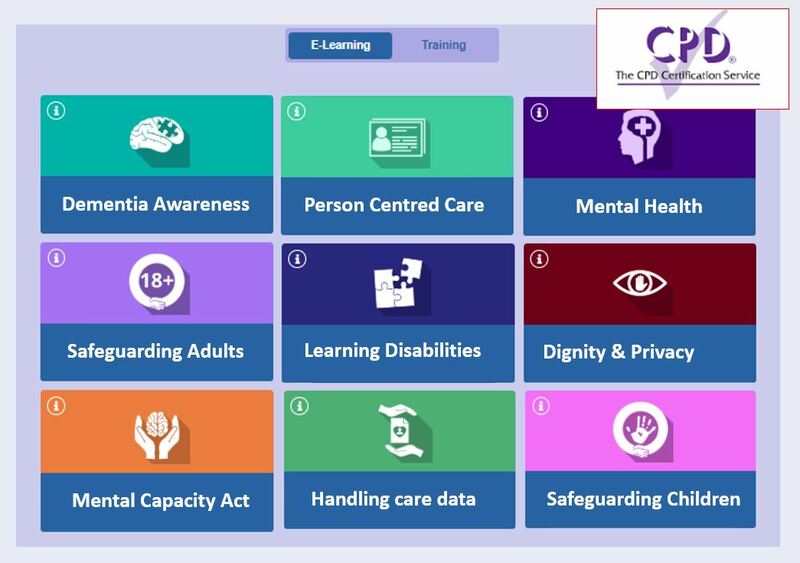 Suitable for multiple care settings, such as elder, dementia and learning disabilities, the package has been sourced from one of the industry’s leading e-learning suppliers. This package has a estimated usage value to the average care facility of £4k. We offer this free to any care facility that qualifies, on the basis of either their size, their charitable status or courtesy of supporting our ongoing development activities. Why pay every year when you can have the cost free convenience of ReMe-Learn at your fingertips whenever you need training. If you’re looking for in room entertainment, then talk to us. ReMe can be integrated with smart TV’s in any room that has broadband access using our under TV set top box. Its not expensive and provides a means to access ReMe content on the TV without the need of a tablet thereby providing the ability for spontaneous engagement, stimulation and agitation reduction. 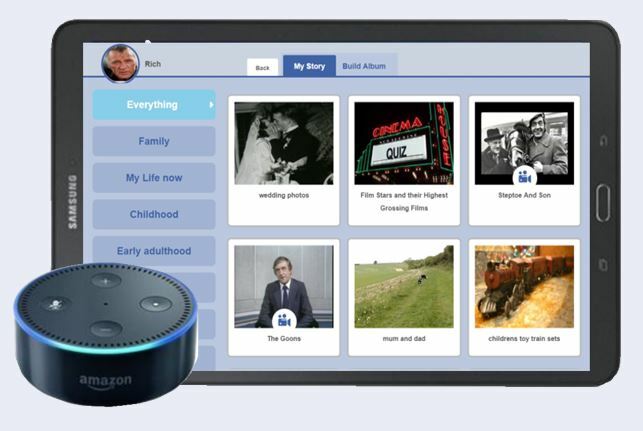 We’re working with Amazon and Alexa to build a suite of Alexa skills that will harness the power of voice for care. If using voice in your care process is of interest then why not contact us so that we can incorporate your needs in our system. …. the ideal Christmas present? 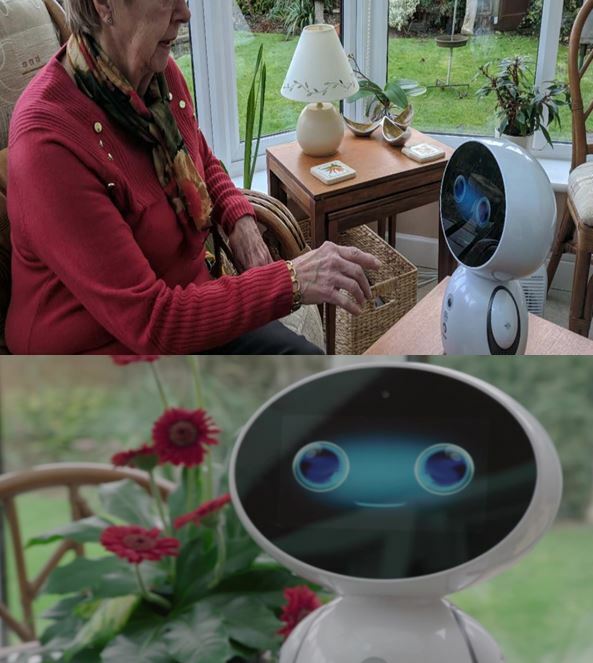 ReMe, Alexa and Genie will be at the heart of our partner ecosystem of support for those cared for at home, providing care support, reducing loneliness and connecting with community. If you’d like to be part of our partner trials, why not contact us.